High quality garden care equipment manufacturerYardeco , introduces the unique Convertible Zero Turn Ride-On Mowers. 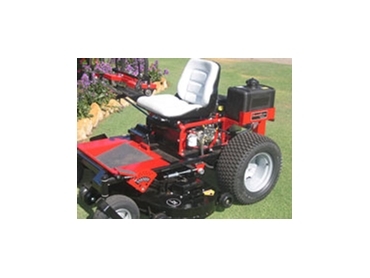 The commercial grade Convertible Zero Turn Mowers feature high quality twin hydraulic pumps and wheel motors, a fully welded chassis and mowing deck (not just pressed steel) and heavy duty blades spindles. The convertible Zero Turn Ride-On Mowers can be used as normal ride-on mowers that function at a top speed of 20km/h. Being zero turn it is easy to spin around trees and shrubs and mow right up to objects and do large areas quickly. They can also easily be converted into a heavy duty walk behind mower. In less than 5 seconds the convertible zero turn convert to walk behind mowers by moving the driving column back, allowing users to mow steeper hills and harder to get places like under trees. The Convertible Zero Turn Ride-On Mowers come with a 22 litre fuel tank.